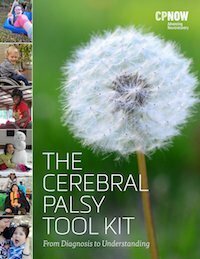 This section is dedicated to bringing you information about unique and practical special needs clothing items, regular clothing items that we have used creatively, and resources for purchasing them. What you need and will use will depend on your child’s particular needs. We aim to ensure Maya is comfortable and as independent as possible throughout the day. We want her to feel confident and proud. Alva is a young designer and wheelchair user who has raised the funds to launch her own functional fashion clothing line for people with disabilities. You may learn about her business and stay up to date with her progress here. Purple Peach Company–A jacket designed for kids with CP! Hatchback Shoes — These are fashionable yet expensive footwear that is so much easier to put on if your child wears AFOs. Keeping Pace—Another company offering fashionable footwear for AFO users. Zappos-This online shoe retailer has a section labeled “orthotic friendly”. This likely will require some trial and error depending on what kind of inserts or AFOs you have, but what a great starting point! More ideas- *There are a couple of brands that I have heard work well with AFOs including Stride Rite and New Balance but you will likely need to size up. Seamless DAFO and KAFO socks — We have never tried these but I came across them and thought they looked fabulous. I also was inspired by the mother that designed them. Mom Jenn Solomon wanted me to pass along her input on some new AFO socks they have been trying with her daughter. She told me that compared with other AFO socks they have tried these are softer, lighter weight, and not so tight around her daughter’s leg. Children and adults who no longer feel comfortable wearing velcro, you may wish to look into Lock Laces. Another possibility is a product called Zubits–magnetic shoe closures. Crawlings — Low profile knee pads that have been wonderful for preventing bruises and scrapes. They are a recent find and Maya loves them. They are vented in the back and come with a few different design options. Wristies — Keep your child’s hands warm but the fingers free to use. We also used them to cover Maya’s hands when she crawled outside. Myself Belts — A wonderful product that gives your child an opportunity to use a belt with more independence. Halosleep Sack — This ingenious invention eliminated our frequent middle of the night visits to our daughter’s bedroom to put her blankets back on her. They have some with and without holes for the legs. They seem to run plenty long and our 2t-3t still fits Maya at 5 years of age. Shoulder Shirts-This Etsy shop makes shirts which are easy to put on and take off because they have velcro sleeves. 2. Overshoes-go over existing shoes-lots of options and manufacturers here including NEOS which look like they have great traction and many options–older children and adult sizes only. 3. 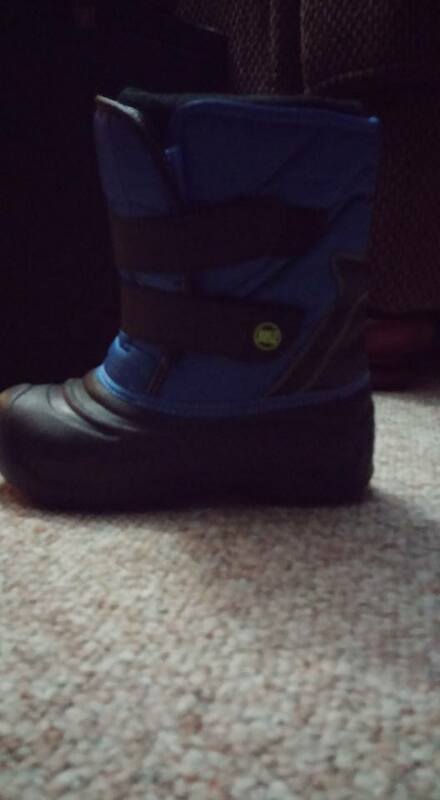 Keeping Pace maker of orthopedic footwear has a sport boot for kids (it may be available in adult sizes). 4. Rugged Outback–Low cost mainstream boot with front that zippers down!! This was a great suggestion offered by a mom who followers our Facebook page. This manufacturer offers a boot that has a front flap that opens so far down in the front that it makes it really easy to remove the liner and use with AFOS. A quick Google search on the name led me to Payless and the mom who shared this said she found them at Shopko. It looks like the ones that have the front flap like the one in this pic are available in boys and girls sizes only. G-Tube Guards-Designed by a mom whose child has a G-tube. Tubie Whoobies-G-tube pads that come in fun shapes and colors/patterns and inspired by a mom whose child has a G-tube. Any advice for slippers that will give good support. They won’t be used with an AFO. My 3 yr old is a right hemi. I have AFOS for two of my triplets with cerebral palsy, insurance completely covers a pair of Hatchback shoes per year and the company who provides them gives me a large discount to purchase additional pairs through them. The shoes are amazing and make life much easier. Insurance also covers 7 pairs of the seamless socks for wearing with the AFOS. These were also provided through company who makes/fits the orthotics. My children have SSI and so are fully covered by insurance so I don’t have any copayments either on any of the items. Wow, that is great news! I have no idea if other insurance companies will do this, but it’s certainly worth people trying. Thank you for sharing! I just got AFOs and I have around 10-12 pairs of skinny leg jeans. Since getting my AFOs I have not been able to wear any of them. Any suggestions on how I might be able to keep wearing them? I’m looking for gloves for a crawler. Something thick to add cushion as they transfer on hard surfaces or play outside. How old is the child or individual? You may wish to search “wheelchair gloves” for possible options that are durable. Any ideas for storing clothes. My son can’t fold. Putting down into the dresser drawer messes any kind of folding he DID accomplish. Any more than three stacked high in shirts and they are a garbled mess. He is in college so wearing a garbled mess is fine and kind of normal BUT that isn’t going to work for an office job. He is going to college 7 hours away from home and doesn’t want to live at home with mom and dad forever. The only thing I can think of is to have him hang the majority of his clothes on a low bar. It could even be portable. Memo – European manufacturer of kids orthopedic footwear offering fashionable footwear for children with CP and AFO users. Shoes made from goat skin, can be equipped with Memo orthpedic inserts. I need help finding alternative funding for the equipment that my daughter needs. She has Cerbal Palsy and is wheelchair bound, and requires a Rifton Tram which would allow her to stand, walk, and allow me to transfer her with the lift. Her insurance won’t pay for this equipment,and she really needs it. Thanks for your help. Mama C.
You may check the list of resources I have in the equipment section.